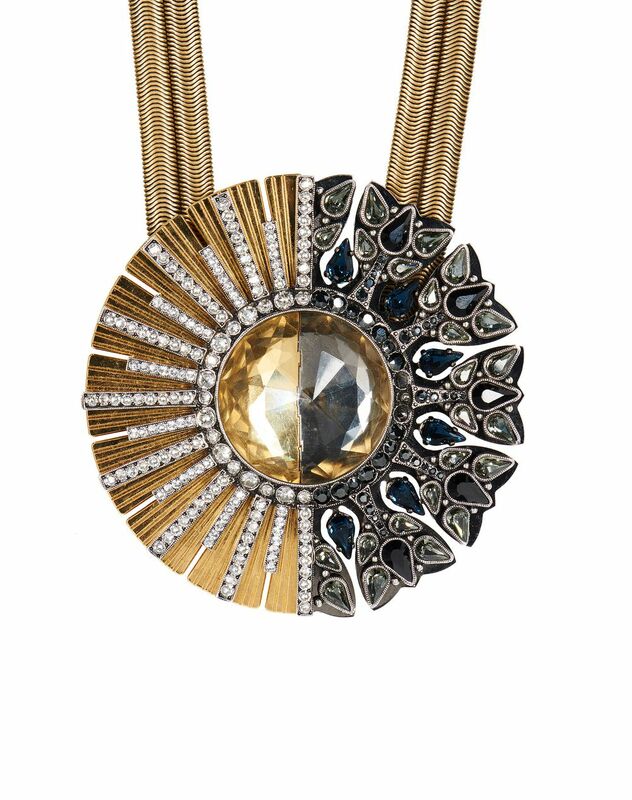 Short "Cosmic" necklace in gold- and ruthenium-colored brass, cosmos graphic pendant adorned with Swarovski crystals, and a black grosgrain ribbon tie to adjust the length. 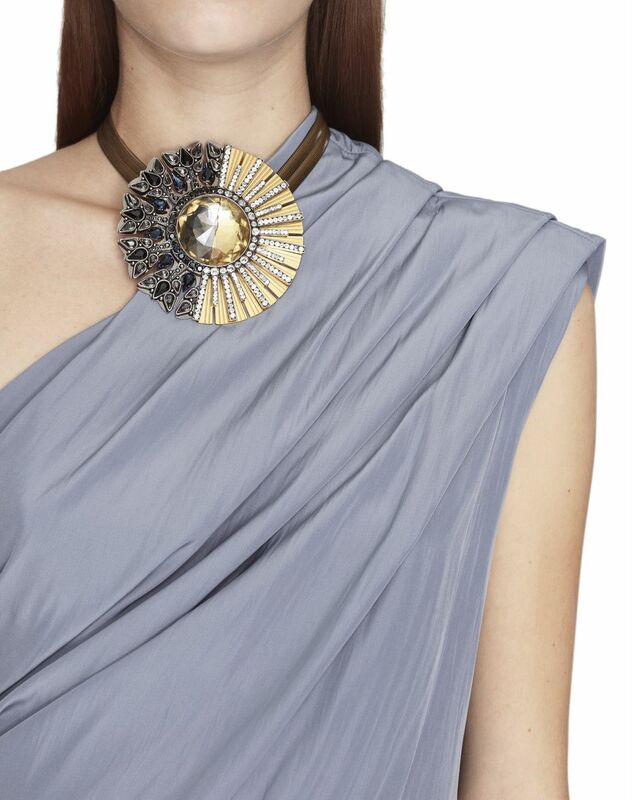 Inspired by elements of the earth, the "Cosmic" line from Lanvin reflects the fusion of the sun and moon. 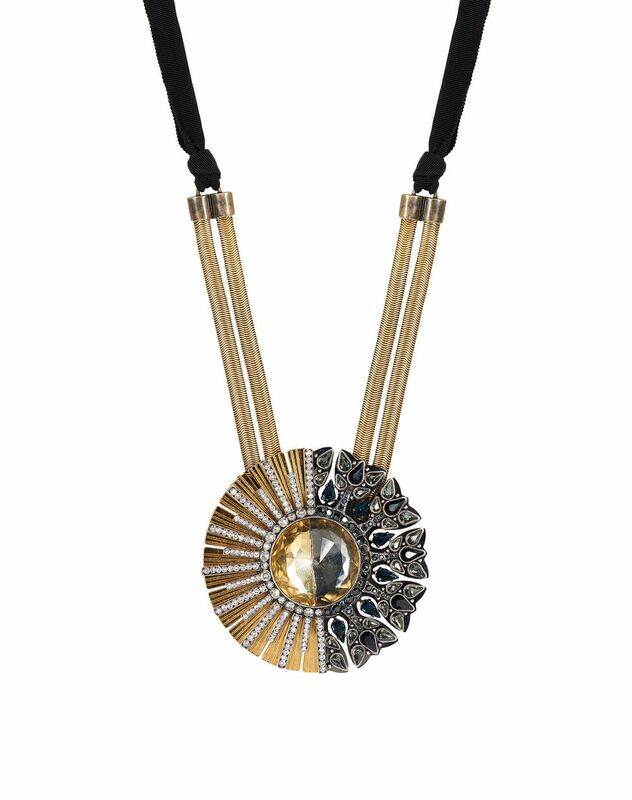 With a graphic style inspired by the cosmos, and perfect for both day and night, this necklace blends colors and materials for a sophisticated, refined look. Main material: 100% brass. Secondary material: 100% pewter. Additional materials: 100% epoxy resin, 100% glass. Length: 15.7", adjustable to a maximum of 19.7". Made in Italy.